Occupying an 11.5 acre footprint, the Metropolitan Museum of Art (New York, NY’s biggest museum), which opened in 1880, is impressive in terms both of quality and scale. 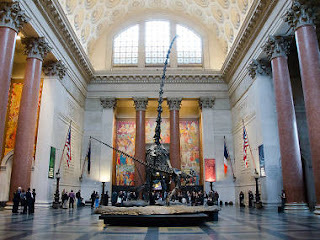 However, this iconic New York attraction—one of the world's top art museums—is surprisingly easy to negotiate, particularly if you come early on a weekday to avoid the crowds. 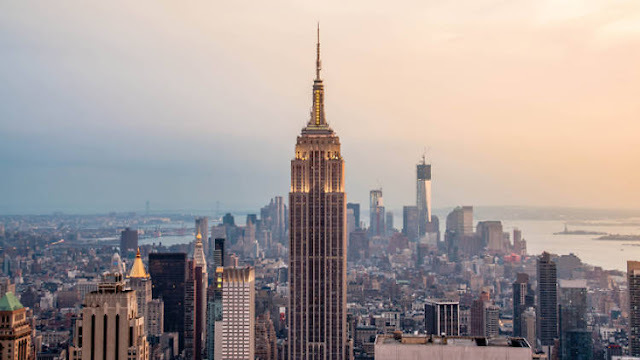 Hang out in an Egyptian temple, gawk at period costumes and take pictures on the gorgeous rooftop garden, showcasing views of Central Park and the city skyline. 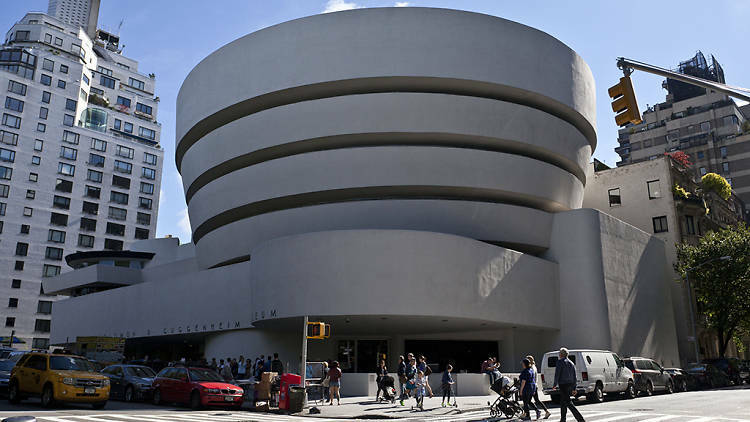 The Guggenheim New York Museum is as famous for its landmark building—designed by Frank Lloyd Wright and restored for its 50th birthday in 2009—as it is for its impressive collection and daring temporary art shows. The museum owns Peggy Guggenheim’s trove of cubist, surrealist and abstract expressionist works, along with the Panza di Biumo Collection of American minimalist and conceptual art from the 1960s and ’70s. 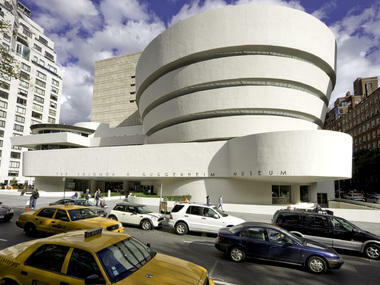 In addition to works by Manet, Picasso, Chagall and Bourgeois, the Guggenheim Museum holds the largest collection of Kandinskys in the U.S. 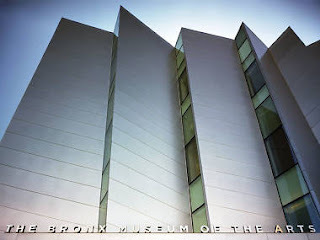 In 1992, the addition of a ten-story tower provided space for a sculpture gallery (with Central Park views), an auditorium, and restaurant the Wright. 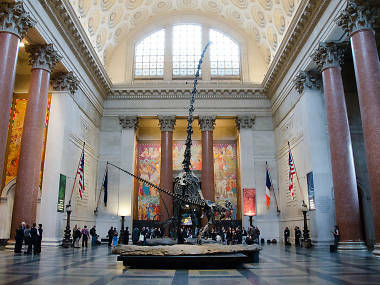 Beyond the iconic, show-stopping displays–the grizzly bear in the Hall of North American Mammals, the 94-feet long blue whale, the prehistoric Barosaurus skeleton rearing up as if to scare the adjacent Allosaurus skeleton–is an expertly curated, 148-year-old museum that fills visitors of all ages with a curiosity about the universe. Whether you’re interested in the world below our feet, or the cultures of faraway lands or the stars light-years beyond our reach, your visit is bound to teach you a few things you never knew. 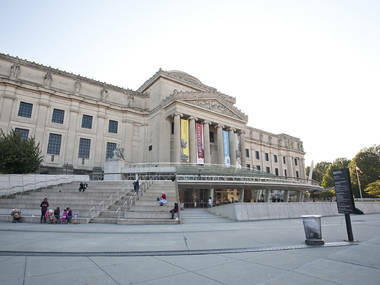 One of Kings County’s preeminent cultural New York attractions, the 560,000-square-foot Brooklyn Museum made history as the first American art museum to exhibit African objects as artwork. In addition to the more than 4,000 items in the Egyptian holdings, museumgoers can scope pieces by masters such as Cézanne, Monet and Degas, plus an entire center devoted to feminist art. 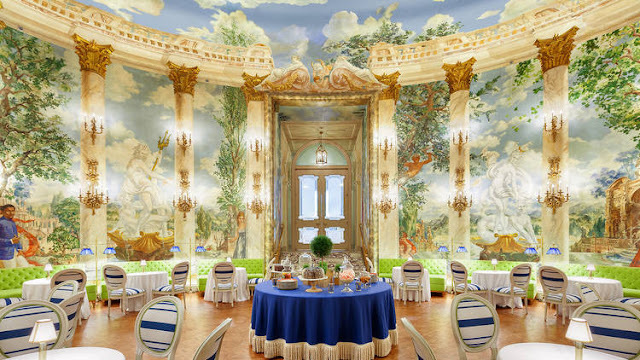 (The venue is the permanent home of Judy Chicago’s massive installation The Dinner Party.) 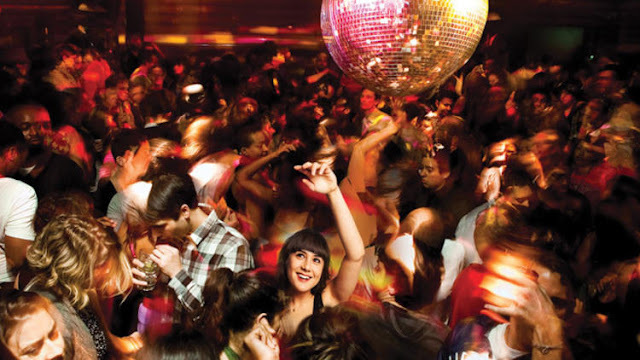 Beyond its art shows, the spot draws crowds with its BrooklyNites Jazz music series and the perennially popular free Target First Saturdays. 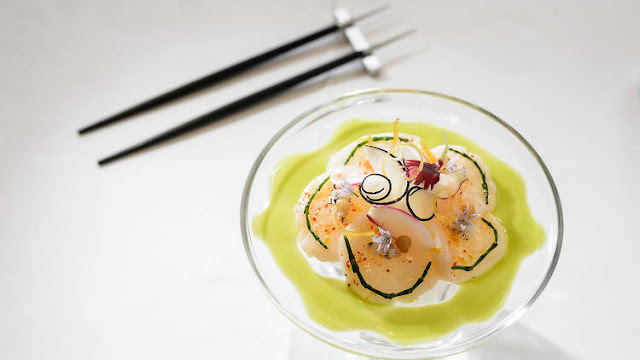 Sure, you could spend a day getting lost in the Museum of Modern Art (MoMA)'s permanent exhibits, which showcase all manner of priceless pieces from renowned artists. 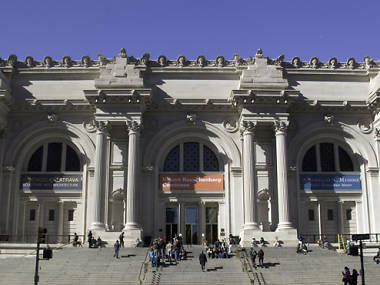 But just as essential are the museum's other elements, including an attached cinema that combines art-house fare and more accessible offerings, top-notch gift shop MoMA Design Store, a sculpture garden with works by Picasso and Rodin, and the Modern, a high-end restaurant and bar run by Danny Meyer. 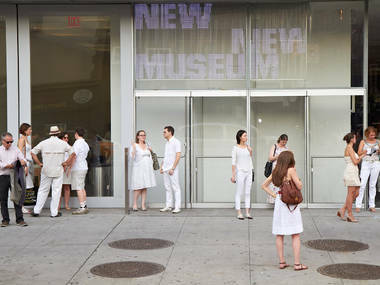 The first new art museum ever constructed from the ground up below 14th Street, the aptly named New Museum of Contemporary Art marks a major contribution to the continuing revitalization of downtown Manhattan. 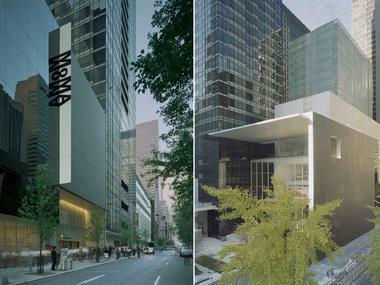 The bold seven-story building, designed by the cutting-edge Tokyo architectural firm Sejima + Nishizawa/SANAA, opened in December 2007, housing three main art gallery levels, a theater, a café and roof terraces. 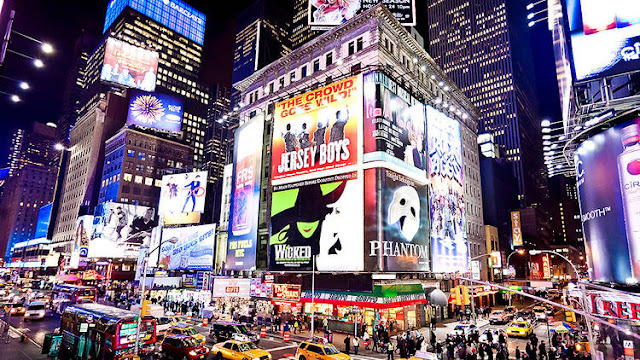 The focus here is on emerging media and surveys of important but under-recognized artists—further evidence of its pioneering spirit. After nearly 50 years in its Marcel-Breur-designed building on Madison Avenue at 75th Street, the Whitney Museum decamped in 2015 to a brand new home in Lower Manhattan's Meatpacking District, conceived by international starchitect Renzo Piano. 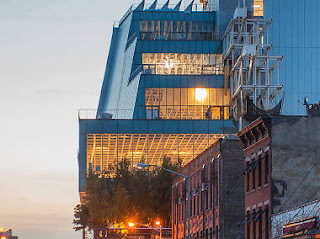 Planted at the foot of the High Line along Gansevoort Street, the new Whitney building boasts some 63,000 square feet of both indoor and outdoor exhibition space. 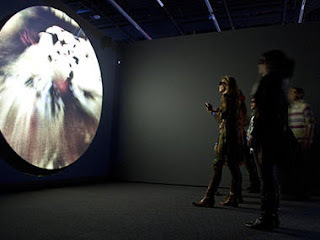 Only 15 minutes from midtown, the Museum of the Moving Image is one of the city’s most dynamic institutions. Rubbing elbows with Kaufman Astoria Studios, it includes a three-story extension that features a state-of-the-art 267-seat cinema and expanded gallery spaces. Meanwhile, the museum’s “Behind the Screen” exhibit examines every step of the filmmaking process, with artifacts from more than 1,000 different productions, and 14 classic (playable!) video games, including Asteroids, Ms. Pac-Man and Space Invaders. 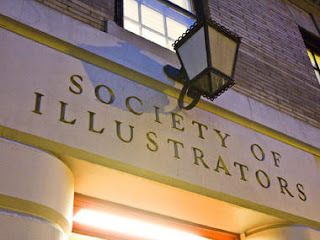 Since it was founded in 1901, the Society of Illustrators has promoted the work of artists around the world through events and exhibitions in the former carriage house of William P. Read, attorney to J. P. Morgan, on the Upper East Side.